As an entrepreneur, Dhar Mann has learned many valuable life lessons over the years. 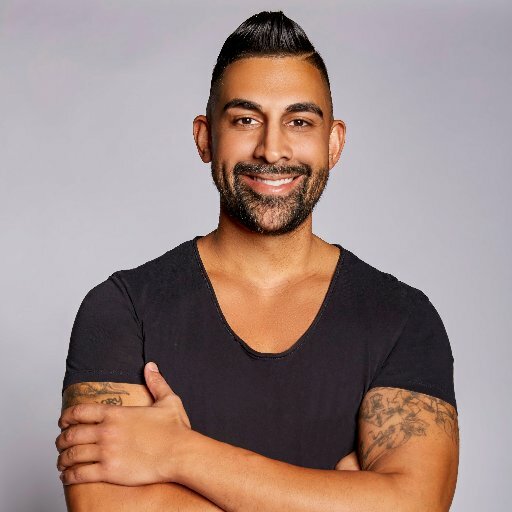 From starting a real estate mortgage brokerage at 19, and funding millions of dollars in real estate loans, to being one of the first to tap into the medical marijuana industry early on and building a cosmetics business that does 8-figures in annual revenue, Dhar Mann has a proven ability to grow start-ups into massively successful businesses. However, as with any success story, there have been failures along the way. Bad decisions and legal trouble could have ended Dhar Mann’s entrepreneurial journey. It’s his resiliency and ability to reinvent himself, learning from his own mistakes, that makes him a great entrepreneur – one willing to share the good, the bad and the ugly in order to help other entrepreneurs avoid the same missteps. Dhar Mann has taken an unconventional path to success. The young CEO has experienced many highs and lows, from living in a Hollywood Hills mansion with 9 exotic cars, to losing everything and living on a friend’s couch, to bouncing back and owning an 8-figure business which he runs today. He’s a resilient go-getter who just refuses to stop pushing forward. Dhar Mann’s business experience extends across many industries including real estate, transportation, medical marijuana, franchising, and cosmetics. Some of the businesses he has owned have been successes, but many of have failed. He attributes much of his success today from the learnings he’s obtained from the businesses that failed. Dhar Mann’s companies may seem like an odd mix, but for the diehard entrepreneur, it was all part of his pathway to success. LiveGlam Owner, Dhar Mann has a lot of experience with starting and running companies. He launched his first business, a real estate mortgage brokerage, at the age of 19 while studying at University of California, Davis. Before he could legally drink he had 3 offices, 25+ employees and was funding millions of dollars in real estate loans. At 21-years old, Dhar Mann was the only student in his small college town driving a Lamborghini to and from class and making more than his college professors. As the company grew, Dhar Mann dropped out from college to focus solely on the business, but after much pressure from his family, he eventually went back and earned his degree in Economics and Political Science. Soon after he graduated the real estate mortgage crisis hit. Dhar Mann was on the verge of losing it all – including his exotic cars. He decided to create an exotic car rental company and rent out his own vehicles; turning his depreciating gas-guzzlers into income producers. That type of fast thinking would lead him to much success, but also to many problems. Alongside his transportation business, the young and ambitious entrepreneur started buying and rehabbing real estate in Oakland. He built up a sizable real estate portfolio in his early 20’s. While rehabbing property he found out about a government grant program that would reimburse 50% of the money he spent on construction. Excited, he started many construction projects at once. What he didn’t realize is that it would take nearly a year for the City’s reimbursement checks to come in – well after the project money had all been spent. In a cash crunch, he started taking some shortcuts on his grant paperwork to speed up the reimbursement process. He thought if he could get reimbursed faster it would allow him to take on even more construction projects and expand his real estate portfolio. That decision would soon become one of his biggest life mistakes. But he wouldn’t realize it until after he made International headlines in the medical marijuana industry. One day in 2009 while working at his real estate office, one of Dhar Mann’s commercial tenants came in to report a break-in in the tenant’s unit. The tenant was reportedly running a catering business and had been robbed. When Dhar picked up the phone to call the police, the tenant asked him not to report it, admitting the “catering company” was just a cover-up for a medical marijuana grow operation. That was Dhar Mann’s first introduction to California’s medical marijuana laws. After doing some research, Dhar found that not only was growing medical marijuana legal in Oakland, but it was a very lucrative business. At that time an Oakland-based medical marijuana dispensary had just reported 17 million dollars in annual sales. Dhar’s first idea was to open his own medical marijuana dispensary. The only way to do that was to get a license issued by the City, but to become licensed, an applicant had to demonstrate extensive experience with growing or selling medical marijuana. So, he knew he had to earn that experience first. In 2010 he opened what CNN dubbed “the Walmart of Weed”- a 15,000 square foot space that was a “one stop shop for growing pot.” At no time did Dhar Mann actually sell any medical marijuana, but Dhar sold all the supplies necessary to grow it. There was even an on-site doctor to issue medical marijuana patient cards and a classroom that offered classes on how to grow medical marijuana. The business grand opening created a buzz around the world. Dhar Mann was featured in countless media publications including CNN, Time Magazine, Huffington Post and even landed on the front cover of Mother Jones Magazine and was the focus of a National Geographic Documentary. Dhar quickly grew the concept, becoming one of the first individuals in the world to franchise a medical marijuana business, and opened locations in Arizona, Washington D.C., New Jersey, Illinois and more. Around this time he also found out that the City of Oakland was getting ready to issue new medical marijuana dispensary permits. Now, having the experience, street credit and team behind him, he successfully achieved his initial goal of applying for obtaining a medical marijuana dispensary permit. It was an exciting time, but what he didn’t realize is his high was about to come crashing down. As Dhar Mann’s popularity and businesses grew, so did scrutiny into his affairs. A prosecutor from Northern California’s District Attorney’s office began investigating Dhar for any wrongdoing. The prosecutor discovered the shortcuts Dhar Mann had taken on his grant paperwork from back in 2009. In 2012, after years of investigating Dhar Mann, the District Attorney’s office filed 13 felony charges against him for fraud. Newspaper headlines quickly lit up with “Dhar Mann fraud” and “Dhar Mann felonies”. The news made major headlines across the globe. His reputation, relationships, and business quickly went up in smoke. The City of Oakland even rescinded the dispensary permit Dhar had worked so hard to obtain. Dhar Mann initially won the criminal case and the charges were thrown out. However, the District Attorney’s office re-filed the case for a 2nd time. Having already spent many years defending himself and hundreds of thousands of dollars in legal fees, Dhar was ready to move on with his life. So in 2014, he agreed to pay a $44,000 fine and spend 5 years on unsupervised probation. The fine was promptly paid and his probation was terminated early for good behavior. This experience taught Dhar Mann a very valuable lesson early on: cutting corners in life is always a bad idea. He decided to sell his interest in his medical marijuana businesses and moved to Los Angeles to start a new life. Succeeding as an entrepreneur is difficult in any situation, but succeeding as an entrepreneur with a criminal background, no money in the bank and a tarnished reputation is much more difficult. Knowing he would never get a job or work for anyone, Dhar Mann began exploring many different business ideas from his tiny 300-square foot studio apartment he was sharing with a friend. One fortunate day in 2015, he ended up having lunch with a popular makeup artist and learned about the incredible opportunities within the beauty industry largely driven by the rise of social media. What’s most inspiring is how Dhar Mann learned important lessons from his prior mistakes and transformed failure into fortune. Knowing what it feels like to experience the many highs and lows of business and in life, Dhar now uses his learnings to create short motivational videos that have received tens of millions of views and inspired people all around the world. As the CEO of LiveGlam, he continues to oversee daily operations, however now he is also focused on sharing with others what he’s learned about failure and success. He believes cultivating a mindset of perseverance is important – because every successful entrepreneur has failed many times, if not at least once.